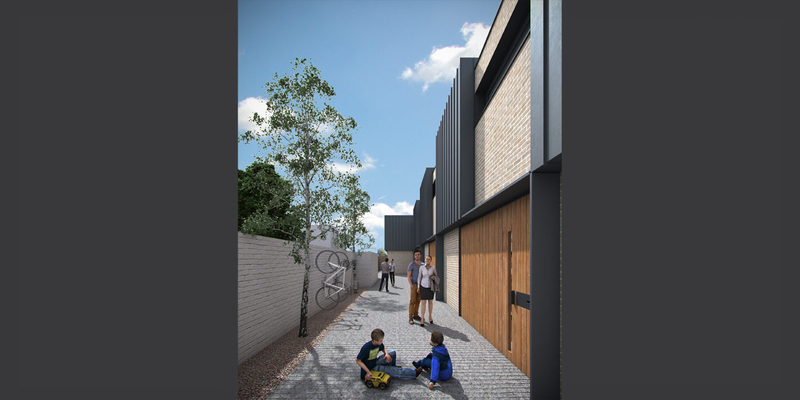 When a client calls and asks you to look at a contaminated former industrial site wedged between a cemetery wall and a row of Victorian terraces for residential redevelopment - you need to think differently. 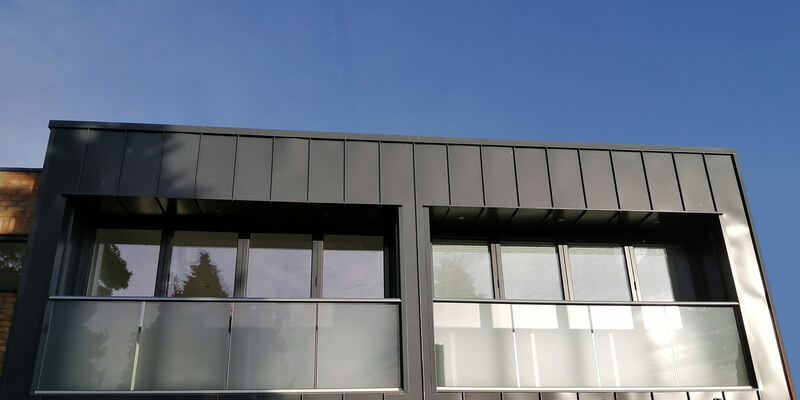 With no view and effectively a ‘no man’s land’ context we needed to create a new distinctive environment that whilst being introspective and passive in response to the existing terrace had its own special quality and joy for the new residents. 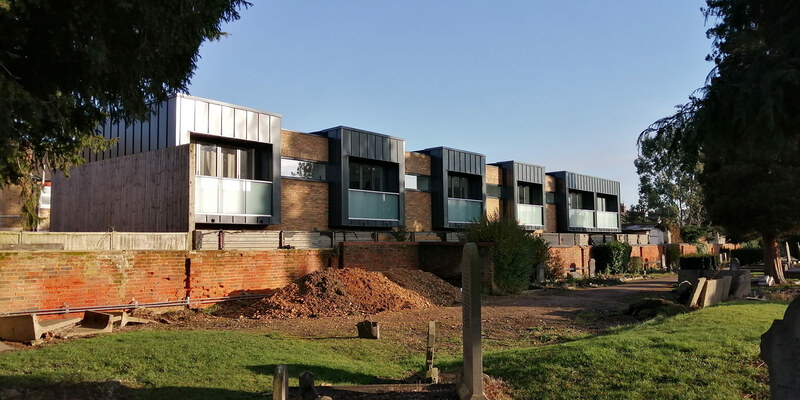 We suspended the living accommodation overlooking the cemetery park to enjoy a well lit open aspect whilst organising the bedrooms and bathrooms behind the wall around their own private patio spaces. 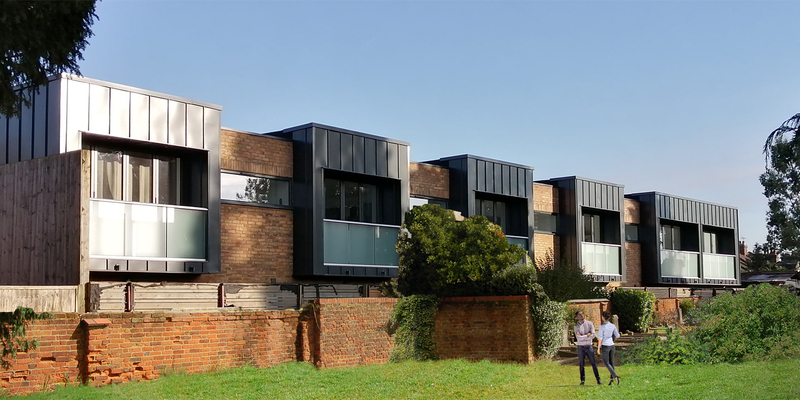 The houses are organised along a spine creating a private street to offer a sense of ownership and community whilst the industrial heritage is reflected with metal cladding overlapping the upper storey alluding to a roofscape with contrasting light brickwork to express a scale and rhythm harmonising the group. With imagination an impossible dead site now supports new life. 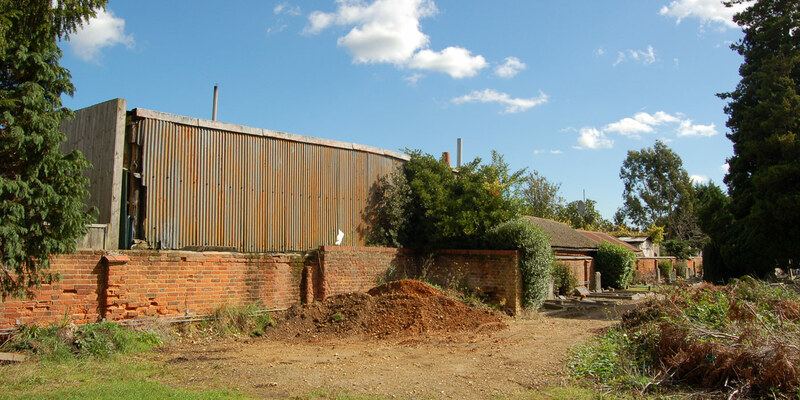 Redevelopment of brownfield industrial site for Residential. 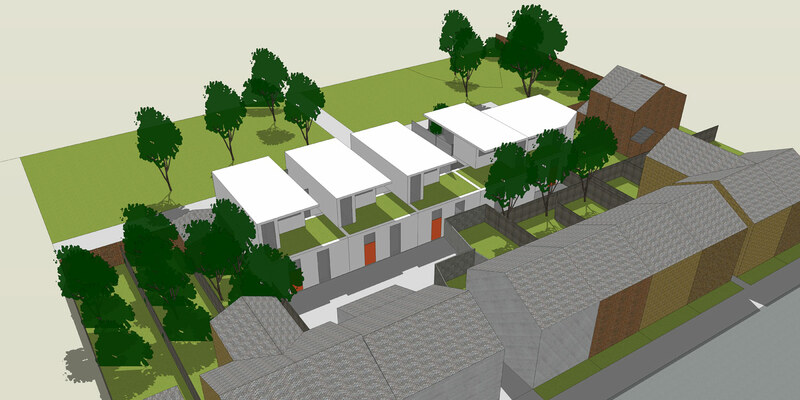 Architect, Concept, Detailed Town Planning and Contract Documents.